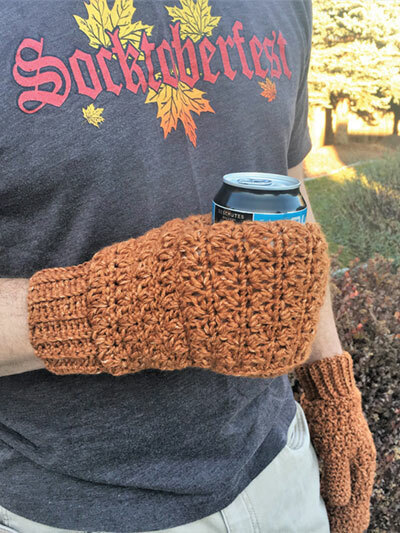 The Beer Thirty Mitten Cozy is a fun and unique design that is perfect for anyone who enjoys tailgating, camping, or coffee during those chilly morning hours! Design is made using worsted-weight yarn and sizes H/8/5mm and J/10/6mm crochet hooks. 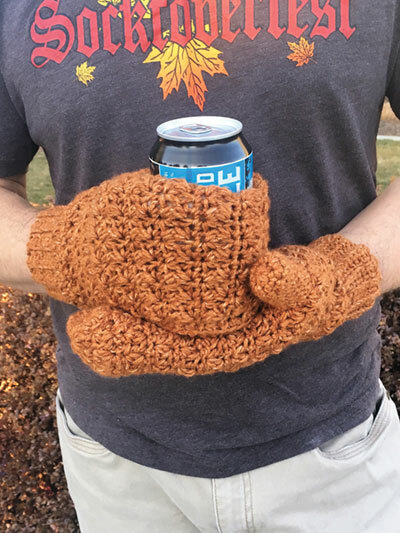 Pattern includes many photos to help walk you through the construction of both the mitten cozy and the traditional mitten. The pattern has adult sizing: S (M, L, XL).